If you plan to start carrot seeds indoors, it is best to purchase them from a local reputable farmer or an online seed catalog. If you have carrots currently growing in your garden, the plants will take 2 years to generate seed. And since the variety of carrot you are growing is likely a hybrid, you will have no idea what the carrots you have planted will look and taste like until they are on your dinner plate. Worse, the seeds may not germinate at all. Fill a multi-cell seed tray with quality potting soil. Use your finger to dig out a 3/4-inch-deep hole in each cell. Place 2 or so seeds in each hole. Sprinkle soil into the holes and gently pat the soil down with your hand. Water very lightly (so as not to disturb the carrot seeds) to moisten the soil if it is dry. Continue to keep the soil moist and the tray in full sun until your carrot seeds germinate, in two to three weeks. Transplant the carrot seedlings when they have reached 1 to 2 inches in height and it is at least 50 degrees outside. Before you transplant them outside, set the seed tray outdoors for a few hours daily for a week to harden them off, or acclimate them to the outdoors. Make sure your carrot seed is fresh. Carrot seed remains viable for only 3 years. 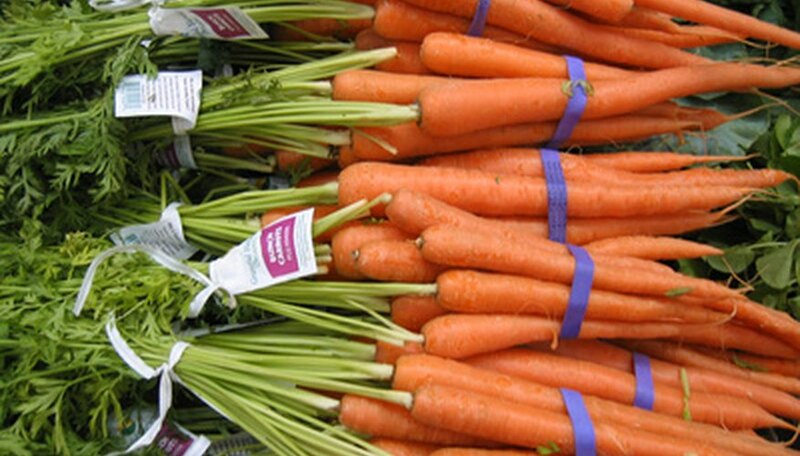 Carrot seeds take roughly 5 months to grow from seed to maturity. Carrot Museum: How do Carrots Produce Seeds?